No-Till Farming: What’s the Deal? Like clean water and fresh air, good, farmable soil is vital to our continued survival - and we're destroying it in mass quantities. Is no-till farming the solution? According to geologist David Montgomery, author of Dirt: The Erosion of Civilizations, the world loses roughly 23 billion tons of good soil each year. At this rate, it will all be gone within 150 years. But a soil-based crisis could happen much sooner than that; we’ll need all available cropland to stave off an impending hunger crisis. One of the biggest contributors to land degradation is the simple process of plowing fields. Plowing’s essential purpose is to bury crop residue, manure and weeds, while aerating and warming the soil. This method of agriculture has been practiced for thousands of years, and many farmers know no other way. But over time, the tilled soil will become ruined, infertile. There is, of course, another way to farm. No-till farming is a practice that started to gain traction in the late ’70s, and has slowly picked up steam since then. Roger Claassen, agricultural economist with the USDA, says only 5 percent of U.S farmers were no-till in 1988. In 2008, that figure had jumped to 25 percent (and is likely higher now). But there are drawbacks to the no-till way — it’s not as simple as it seems. Here’s a short list of no-till pros and cons. Over time, no-till can save significant money in labor and fuel, simply by cutting the added step of plowing each year. Specialized seeding equipment, including a “no-till drill,” can cost more than $100,000. Even if this cost is eventually absorbed into day-to-day operational savings, it’s a significant expense. No-till farming leaves crop residues on the surface, which absorb water and limits runoff. This water retention can be a boon to farmers in drought-stricken areas. Elevated moisture levels in the soil can promote fungal diseases that were previously kept in check. The lack of water runoff prevents herbicides and other pollutants from getting into nearby water supplies. Many no-till farmers report an increase in the usage of herbicides, as one of plowing’s main benefits was weed disruption. This in turn breeds a greater reliance on herbicide-resistant GM crops. Especially in areas with low moisture levels, no-till farming can significantly increase crop yields. Lloyd, who farms wheat in Clay Center, Kansas, says he’s been getting up to 50 percent larger harvests since he stopped plowing. 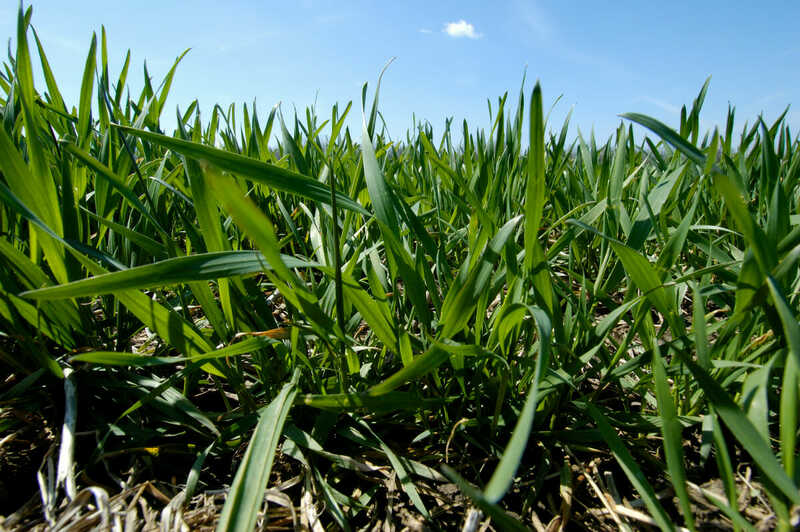 The no-till movement is gaining steam, and there are many resources available to help you transition. Twenty years ago, many farmers had to wing it, using trial and error to learn the system’s quirks. Con: It still won’t be easy. Note: Thanks to Scientific American for some information used in this story. Does hard copy of the magazine still exist? What is No-Till farming like for pasture and hay?